Please note: Bomb Island is famous for its roosting purple martins, but the birds do not always arrive. Some years, like in 2014, their migration patterns differ. This is natural and not a sign of decline or danger. 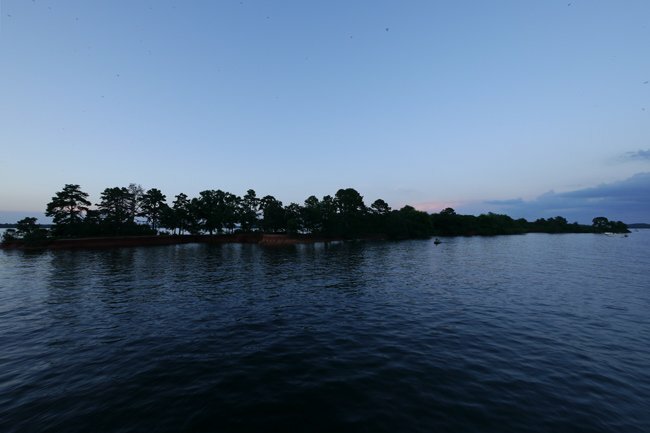 Bomb Island, 12-acres of land in the middle of Lake Murray, is formally known as Doolittle Island. It was named for General James Harold Doolittle, commander of the Doolittle Raid, the first United States air raid on the Japanese Home Islands during World War II. Much of the raid’s development was planned in Columbia, and B-25 pilots often practiced their runs on Doolittle Island, giving it its nickname. The island is now full of life. 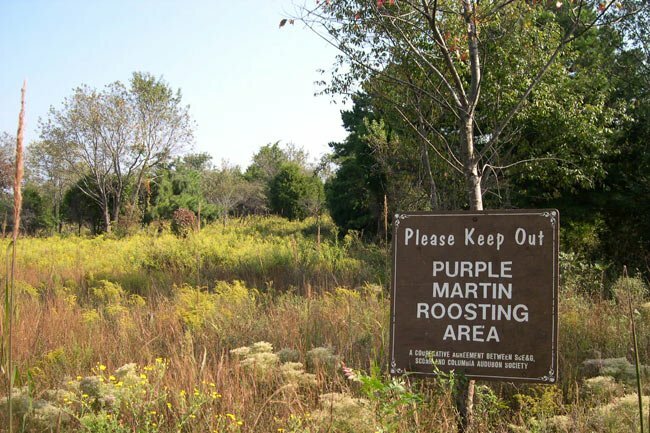 It is North America’s first purple martin sanctuary as well as its largest roosting site. Every summer more than 750,000 of these birds return to the island after a busy day of foraging. Guided boat tours take visitors to see this wondrous sight each evening during summer, and they are greeted by dozens of local private boaters as well. No one is allowed on the island until the birds leave for their winter migration to South America. If you look closely at the photo above, you can see the birds returning to their sanctuary at dusk.